Spain is not just about sun, sea, beaches and sangria! After Switzerland, Spain is the most mountainous country in Europe - there are over 33 international standard ski resorts in Spain scattered throughout the country. 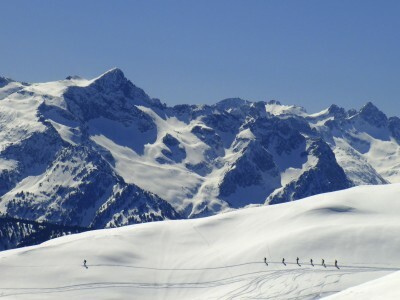 We have picked two unique ski areas - Sierra Nevada - Europe's most southern ski resort - perfect for short break skiing or perhaps mixing a city break to the historic city of Granada with a few days of fabulous skiing. There are not too many places in the World where you can ski all day then retire to the beach for some evening sun!! Perhaps we have save the best till last - Baqueira Beret - Peter Hardy the renowned ski journalist wrote in the Telegraph that Baqueira Beret is the best ski resort in the World. This is from someone who has skied in over 500 resorts and also perhaps why the King of Spain owns a chalet in the resort! Situated high in the Pyrenees Baqueira modern lifts serve over 150kms of marked piste spread over 4 valleys.